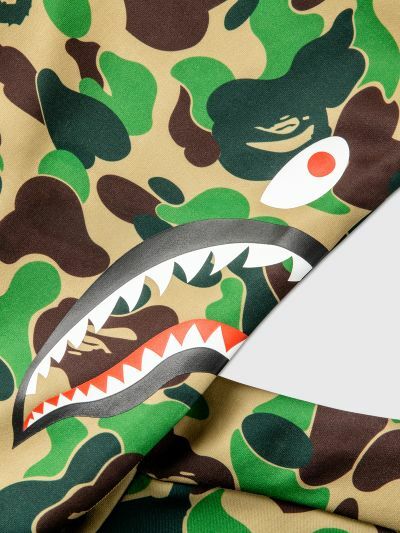 Sweatshirt from adidas by BAPE. 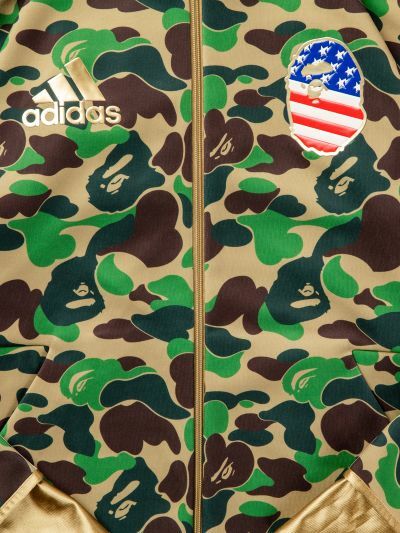 Made from an all-over Camo printed double knitted jersey fabric and is fully lined with mesh. 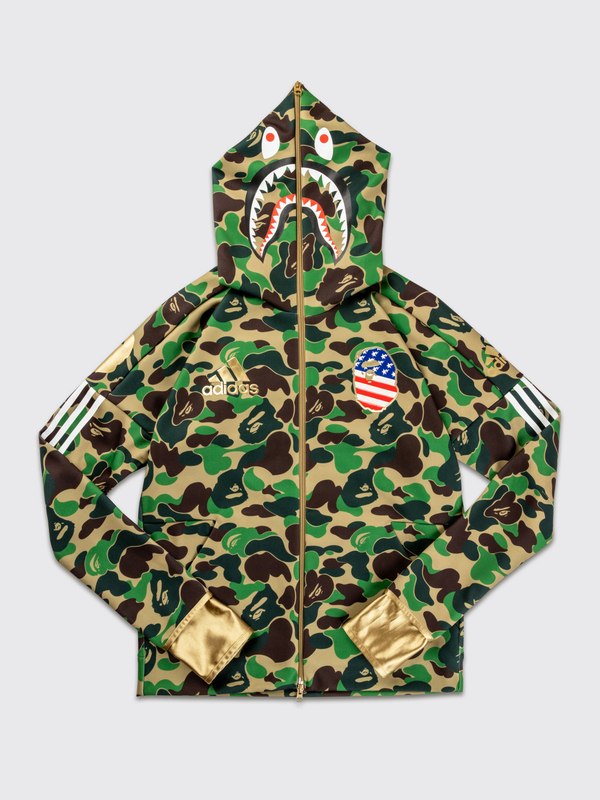 Shark graphic on the hood and a two-way zip closure on the front that zips all the way up the hood. Two slanted front pockets. 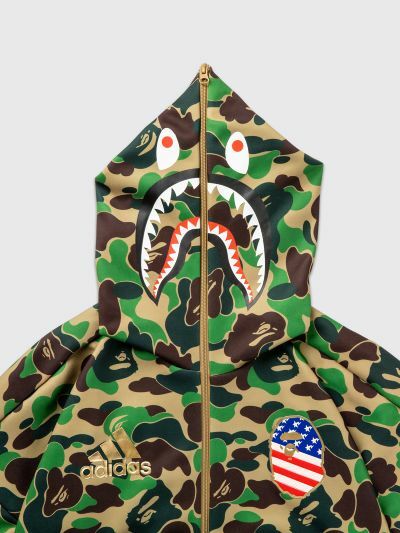 BAPE and Adidas logos on the chest. Raglan sleeves with three stripes on the sides. Gold colored cuffs. Green, brown and gold sweatshirt. Made from jersey.